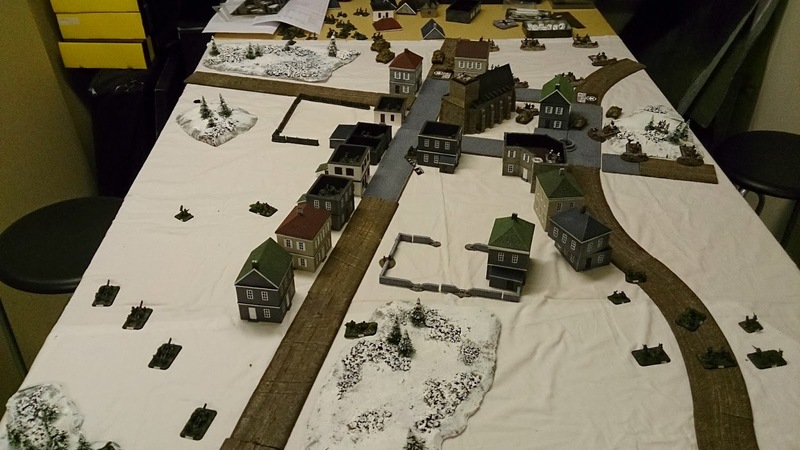 Ever since Battlefront released the Foy scenario I wanted to play it, but I have been waiting for my church for over a year. 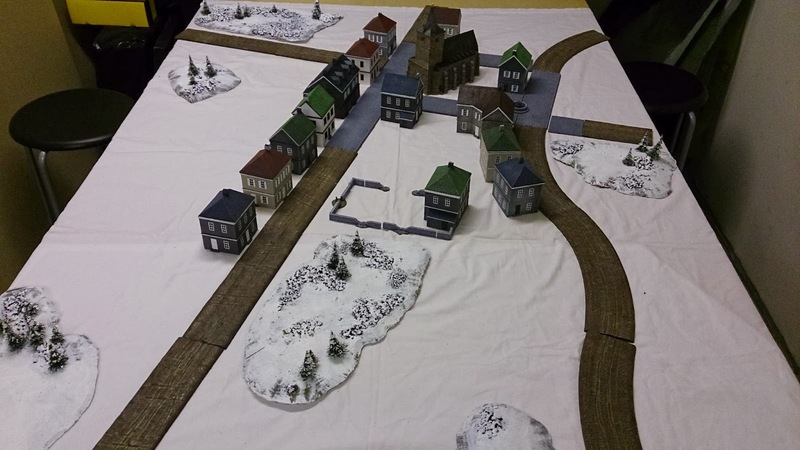 Before christmas I finally received the church, and my friend Axel had just finished his Volksgrenadier. So during the holidays we found the time to try it out. 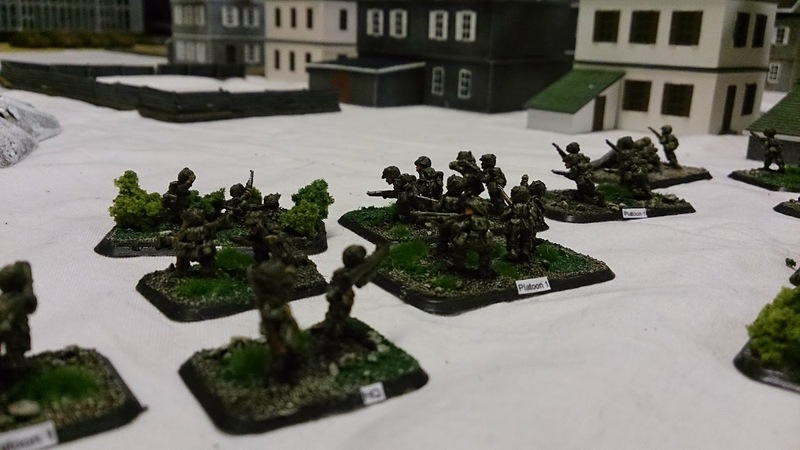 I took the roll of Easy company, which gave me the opportunity to paint up my blister of Company of heroes that I bought for our Market Garden campaign last year. 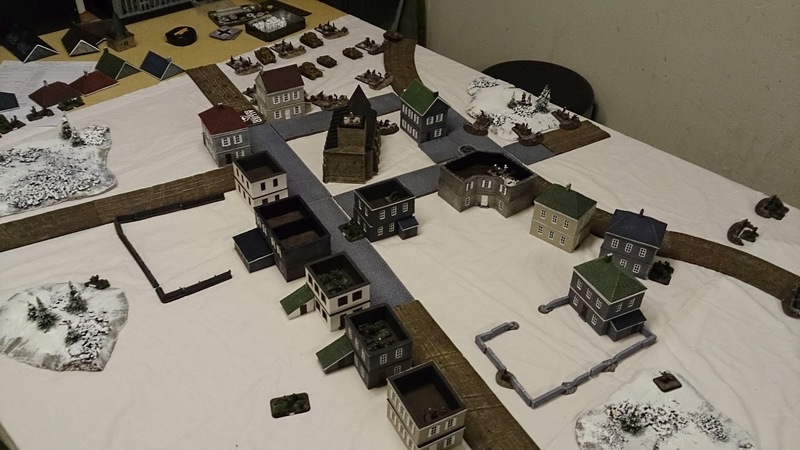 My main assault was the red arrow and this managed to destroy one platoon of Volksgrenadiers, but paid dearly and wasnt able to do another assault, so the next platoon had to be brought forward, but the amount of firepower the germans had, made me take the safe but slow route from house to house. 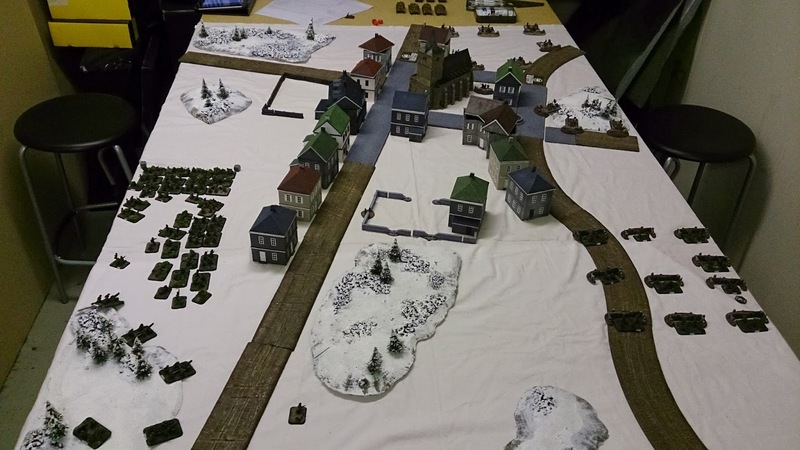 Meanwhile Spiers did his run successful and managed to remove the special pin from the third platoon on the other side of the town. But as four AA guns was covering that area they didnt leave their fox holes for a while. 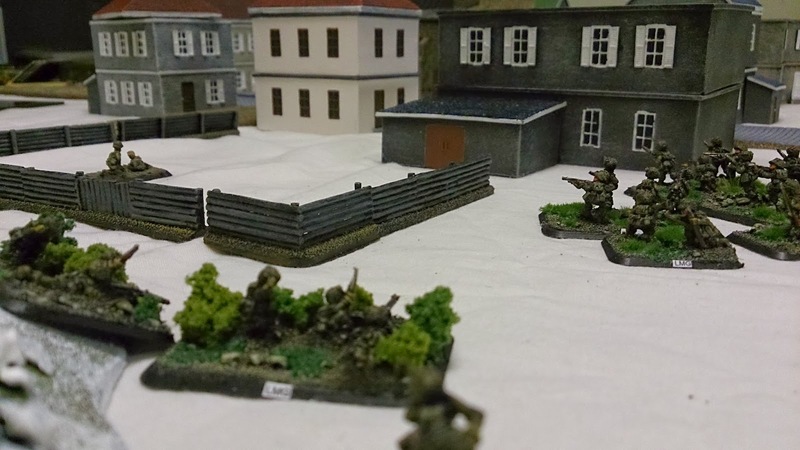 The assault really ground to a halt when the german tanks did arrive on turn four. I kept fighting but, the battle was lost! I had only managed to take out one platoon, but as Axel had nine from the beginning, so no points for me! I really like historical scenarios and many of Battlefronts usually has an OoB but not this sceanrio. We both tried our best to make list as historical accurate (read. Band of Brothers accurate) as possible. That said I do think that the germans should have less points. If US gets 1500, the germans maybe should have 1000 points. Maybe we´ll have time to revisit the scenario in the future. Hur mycket poäng hade Axel ? Var det "40k-lika" eller hade man mer ? Vi hade lika många poäng, så 1500 poäng.